Millions of interfaith devotees the world over believe that we live in a critical time in the history of mankind when strife and discord have robbed man of peace and harmony and the forces of evil are relentlessly pushing him closer to the brink of disaster. With this back drop many who belong to different religious faiths have come to believe in Sai Baba whom they consider as a universal teacher. Born on 23 November 1926 Sai Baba has been spearheading on a spiritual revolution as a ‘re-incarnation of Vishnu’. He has been renowned for his ability ‘to read minds, peer into the future, to go to anyone’s rescue in distress wherever they are’. He has gone on record with unbelievable miracles such as ‘healing incurable diseases like cancer and paralysis’. In such an environment more and more educationalists, scientists, psychiatrists, psychologists and even Kirian photographers have gone to see him and tried to probe into Baba’s miracles. Sai Baba has been maintaining that he is a ‘Poorna Avatar’ (full Avatar with limitless powers from the God Head) who has come down on earth at a time when the man is going beyond animal level. Through his multifaceted activities, Sai Baba is said to be spear heading a ‘miraculous’ revolution in two planes – individual and global. In Holy Man and Psychiatrist book on Sai Baba, he was quoted as saying that he would be ‘King of the World’ during his final phase in his mission on earth - from the year 2000 up to the time he takes off from this body at the age of 98. During this period the number of devotees who would flock to see him, he has said would be enormous that the balcony would not be sufficient to give them Dharshan (an audience) or even an aero plane, but to shower blessing to such a vast gathering he would virtually have to walk in the sky and ‘that too would happen’, he had categorically recorded in black and white. With bold statements such as those, he had gone on record stating further that ‘he is the Lord who sent Jesus to earth’ and ‘when Jesus (Isa) said “my father and I are one and the same”, Jesus was referring to him’! This has been interpreted in some text books on Sai Baba as Sai (Father) and Jesus as Isa (Son). At the Poornachandra Hall in Puttaparthi where over 25,000 devotees could be accommodated I could see the whole stretch of the back wall occupying a huge drawing of Jesus Christ with a slogan underneath written in bold letters: “My father and I are one and the same”. However, there appears to be a certain amount discontent among some of the Sai Baba’s devotees of late, after a recent fall where Sai Baba has broken his hip bone and now being confined to a wheel chair, thus curtailing normal Dharshan appearances and other activities to a certain extent. There have been a lot of debates and arguments among the ardent followers and confused devotees who are naturally disappointed about this new development. They argue as to how could a spiritual leader who claimed to be God in human form and who had declared he would walk in the sky could today be in a helpless situation without being able to walk! The very fact that Sai Baba has been the architect behind in erecting two gigantic spiritual hospitals in Whitefield and in Puttaparthi specializing in many areas for the welfare of mankind and his inability to cure himself and thus becoming confined to a wheel chair has no doubt helped to create hairline cracks if not structural in damages to the Sai family around the world. 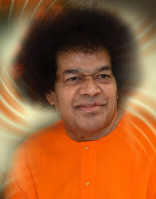 Some attribute Sai Baba’s poor health today due to human frailties like in any other human being at the age of 81. Critics argue on the contrary and say ‘he is not an ordinary human being but ‘God in human form’ as he put it, and whether his spiritual prowess is beginning to dwindle? Those Buddhists who believed in him as having the same compassion as Buddha have become strong Sai devotees too, over the decades which have naturally created two schools of thoughts among Buddhists. Once I put this vital question to the late Aggamahapanditha Balangoda Ananda Maitree thero when he was celebrating his 99th birthday in London while observing the ‘rainy season’ (Katina).The simple answer he game me was by asking whether it was against Buddhism to for me to visit a Harley Street Specialist if I was suffering from an ailment and I had faith in the Harley Street physician or the surgeon? In my experience as an ardent devotee of Sai Baba for over three decades I have had the opportunity of visiting Whitefiled Ashram in Bangalore after seeing him in my dream three days prior to a serious motor car accident in London . I have also been saved from a second motor car accident on a London highway without letting a drop of blood while the spare wheel which was under my car boot got thrown fifteen feet away after the impact. At Puttaparthi I have spent four weeks continuously and have had Dharshan everyday and finally had the rare opportunity of even to be included in a group interview to see Sai Baba. I was seated inches away from Baba’s Lotus feet (keeping both hands on them for over 20 minutes) inside the interview room and witnessed from my own naked eyes how he materialized a ring by just waving his right hand in a jiffy and fitted into my friend from London Mr. Amirathananthan who was apparently suffering from hypertension severely at the time. Similarly I witnessed several of his miracles while being inside the two interview rooms. I have read many books written on him and discourses given by him. As a journalist I have written many an article on him on his birthday glorifying his activities and pronouncing how he has taken a human body out of his own will to be a full avatar with limitless powers. I have been quoting his own words quite frequently such as, “ if I had come as Narayana (son of the Primal man) with 4 arms, they would have put me in a circus, charging money for people to see me. If I had come as only a man like every other man, who would have listened to me? So, I had to come in this human from, but with more than human power and wisdom. Just because I talk to you like one of you, walk with you like one of you and behave in your presence as one of you, don’t be mislead into believing that I am one of you. My divinity will be revealed to each one of you at the right time. Only a handful of you have really come to me for what I have really come to give you – LOVE’. There have been many heartbreaking stories that have emerged of late of this great spiritual teacher who has gone on record for doing so much for humanity in the form of education, health, spiritual uplift and given hope and strength to millions over the years. On the negative aspect there have been even BBC programmes shown the world over to discredit his character. A murder which took place once right inside his Ashram at Puttaparthi where one of Baba’s closest disciples was killed was exposed in the BBC documentary pointing a finger at him for not coming forward and giving a statement to the Police about the murder which has certainly confused many a devotee. Added to these, one of Baba’s closest men, Dr. Bagavanthan, abandoning Baba after many years of close veneration, has also acted as an enzyme to adverse publicity about Sai Baba. Dr. Bagavantham was an educationist and a man of distinction in India whom Sai Baba chose to be his interpreter for decades. He translated most of Baba’s discourses in Thelagu into English. Dr. Bhagavantham in one of his personal experiences with Sai Baba had written how he walked with Baba one night on a Shiva Ratri along the Chitravati river bank when Baba suddenly picking up a hand full of river sand and asked whether Bhagavantham wanted a Bhagavat Gita in Telagu or in Sanskrit. When he offered the choice to Baba himself, Bhagavantham has described how the sand pouring from the cups of Baba into his palms materialized into a book – Bhagavat Gita in Thelagu! Having such a strong bond and devotion and finally Bhagavantham abandoning Sai Baba managed to create some prominent cracks in the Sai family across the world. In my personal experience I had developed a communication system over three decades where I meditated on a question and I got my answer from him in a dream appearance. Needless to say I too was shattered when my guru and the spiritual prop who claimed to be God in human form, cured thousands of people from a variety of diseases and vowed to walk on the skies had to suddenly fall down and break his hip bone and subsequently become frail and confined to a wheel chair. It was natural that I too became confused and needed answers to satisfy, may be my ego! In my normal form I posed the question to Sai Baba and prayed to him to show me whether he was working on positive energy or negative forces. Why he could not cure himself and had to contradict himself on what he had prophesized decade or two ago. Lord and behold, that night Sai Baba came to me in my dream and stood right in front of me. All I could see was his 5ft tall standing out figure draped in a Black Robe, quite contrary to the rare White Robe he adornes only on his birthday once a year and the usual spiritual Orange robe which he adorns normally. This is my personal experience and opinion. I do not intend to cause distress, disappointment or distract any Sai Baba followers in doing so. In fact I was encouraged by a friend who is also a devotee of Sai Baba to write my experiences for general knowledge of others and I leave it for individual assessment and judgment.